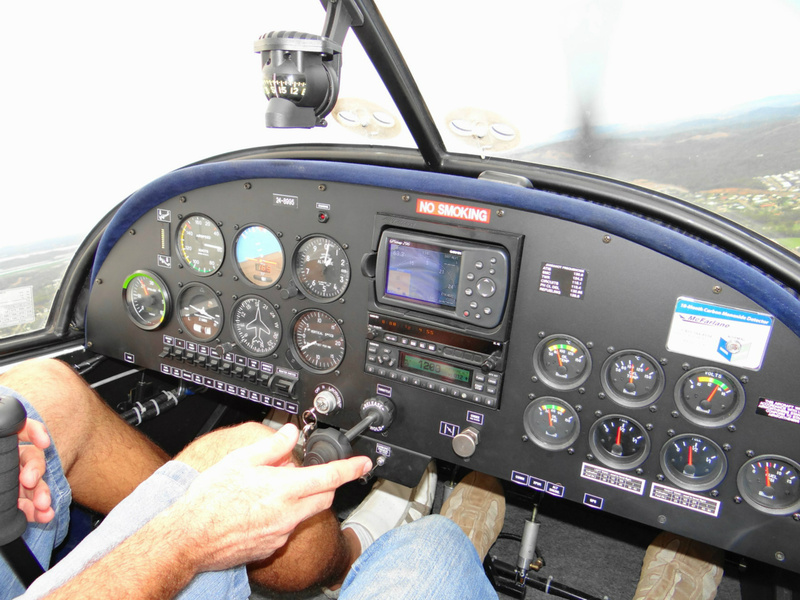 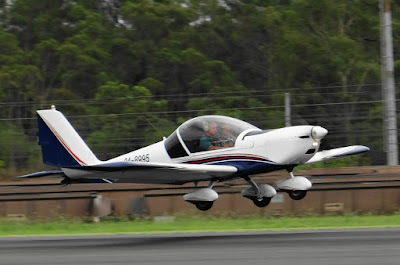 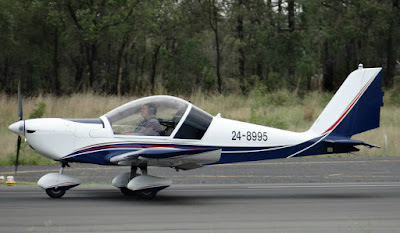 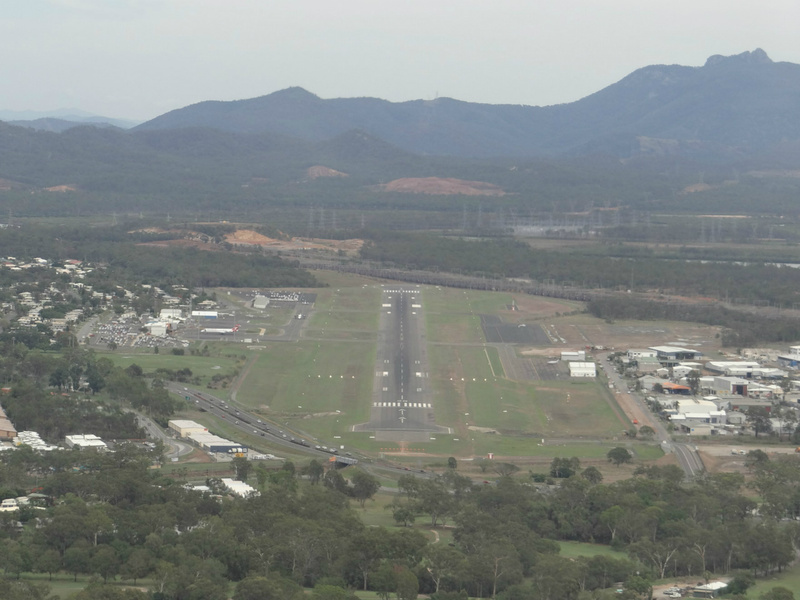 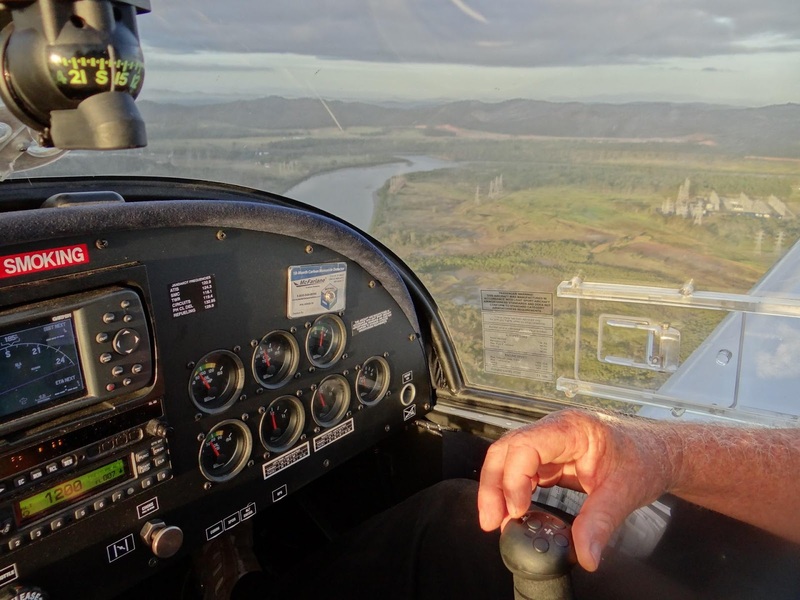 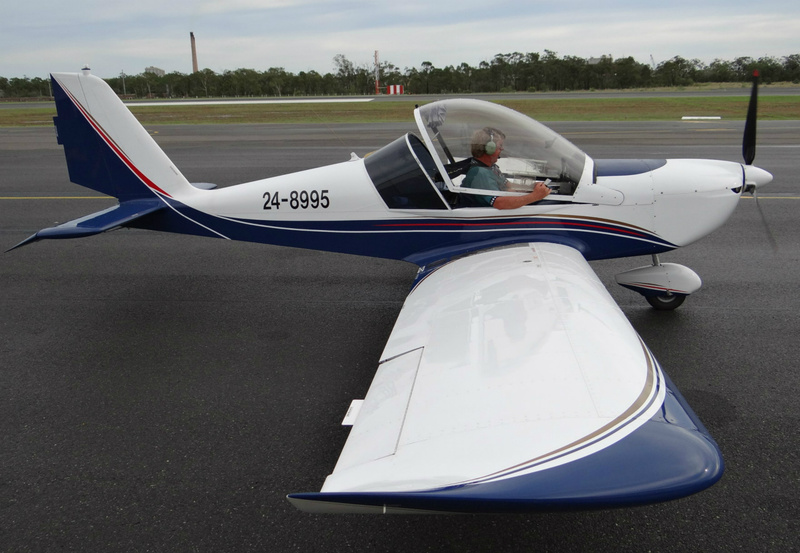 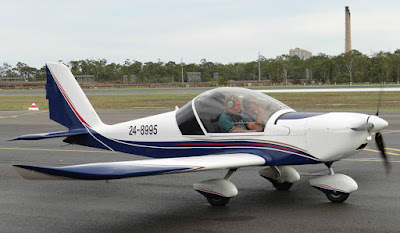 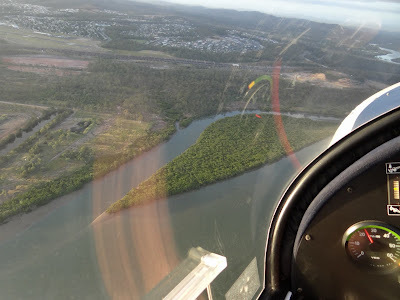 Long term readers of Capricorn Plane Spotting (now Air Queensland.blogspot) may recall I completed RA-Aus Flying Training with Pro-Sky Maryborough at Gladstone Airport back in 2014 and obtained an associated Pilots Certificate with a passenger endorsement. 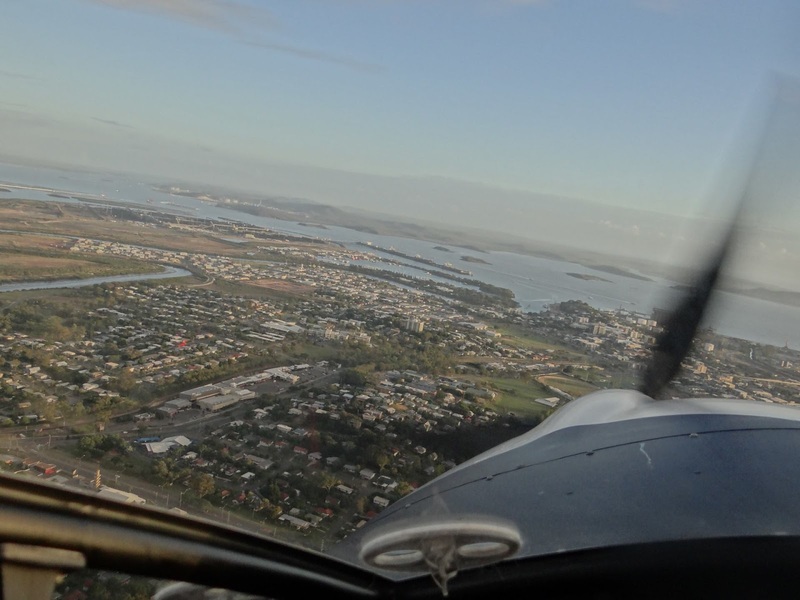 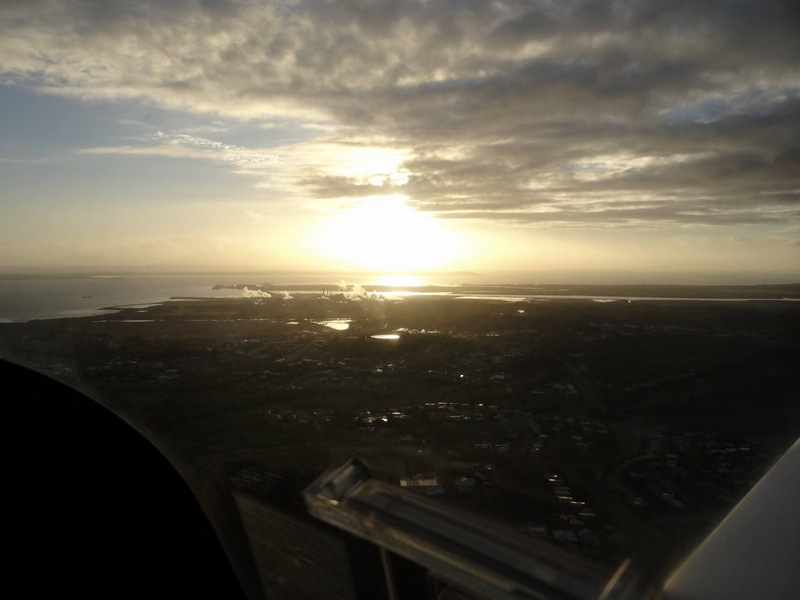 Tracing back to a moment in November 2013 while still completing the flying training syllabus, it was time for another lesson, and while the weather on the day was calm and almost ideal for flying, it was however very humid because of heavy rain the previous evening. 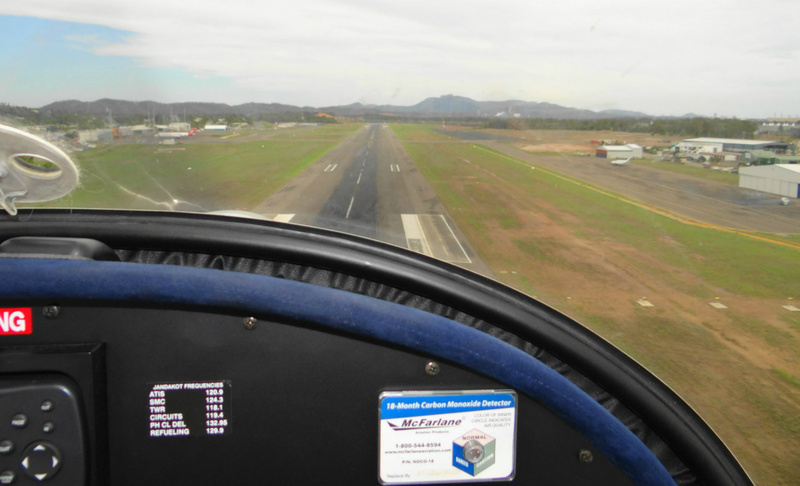 With pre-flight checks and briefs completed, we taxied in preparation to begin conducting 'circuits' but this time departing-off RWY28 and turning right instead of the usual RWY10 and turning left. 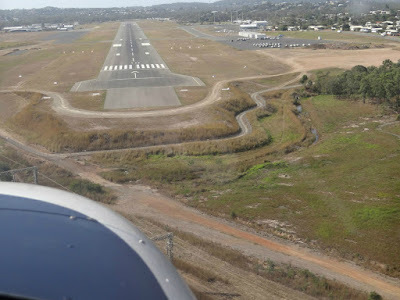 Yes, right hand circuits are permitted at Gladstone off RWY28. 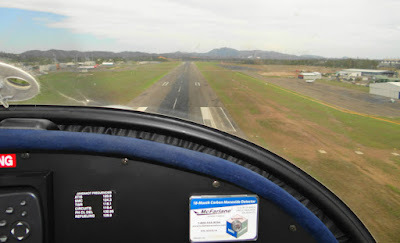 Starring-down the almost two kilometer long runway, I steadily ease the power on while firmly applying right rudder to maintain the plane on the centre line, however with no shame admitting, I have been slow on the uptake making this happen and usually creep slightly towards the left-side of the runway, but with many thanks to my flying instructor, Russell does not allow me to stray too far. Climbing-out on the 'initial' leg, I maintain a steady ascent until we pass through 500ft (flaps up and fuel pump turned-off at 300ft) and after making the necessary visual inspection for other traffic, turn right onto 'crosswind' and maintain climb until our circuit height for a medium-powered aircraft of 1000ft is achieved before easing the power back to 5000rpm and turning right onto the 'downwind' sector of the circuit. 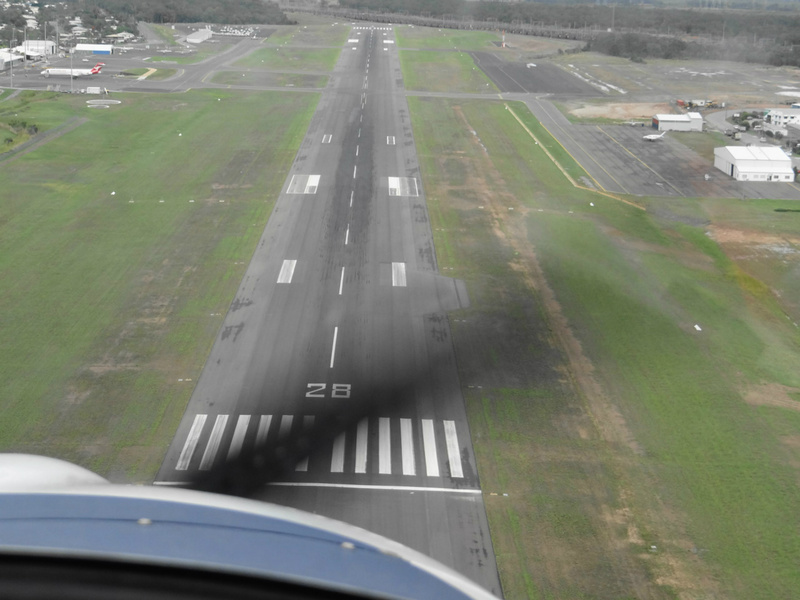 Approaching a 45 degree angle from the threshold of RWY28, throttle back to idle, carby heat on, slightly increase the angle of attack and commence a right hand turn onto 'base' and retrim the aircraft for a steady descent (recommended to achieve 500ft AGL before turning from base onto final). When the speed has sufficently reduced, select the required stage of flaps at the correct speed and obtain the recommended landing speed for the particular aircraft, in this case, 60 knots for an Evektor Sportstar. Hopefully at 500ft when turning onto 'finals', cancel carby heat, ensure the aircraft has remained correctly trimmed and allow the plane to descend at a moderate yet steady pace before attempting to pull-off what will hopefully be a great landing. 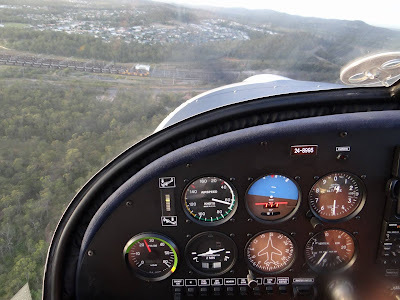 Upon touch down, steady the aircraft, reconfigure the aeroplane for take-off (trim, flaps), throttle-on, firmly apply right rudder, gently ease the controls back as speed increases and around we go again.